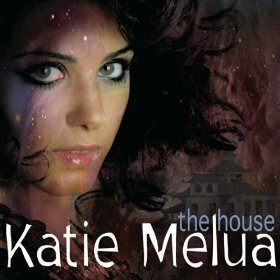 Though only twenty-five years old, Katie Melua has been a pop music staple around the world for nearly all of her adult life. For her first studio album in three years, Melua has teamed up with acclaimed producer William Orbit to unlock a new depth in her music. The result of this collaboration is an LP entitled The House, which is a delightful fusion of singer/songwriter acoustic pop with elements of jazz, and a modern, electronic twist. Melua’s voice has only grown in strength over the years, and if the overseas success of The House is any indication, it ought to storm the charts in America as well. The album’s lead single overseas, “The Flood,” starts out with heavy drums and distant, Oriental-sounding strings before picking up the pace and giving way to distorted vocals, popping bass, and a more digital sound. The synergy between traditional, acoustic and the digitally-enhanced, modern music is sustained throughout the album. “A Moment of Madness,” for instance, has a bouncy, cabaret delivery with jazzy horns, whereas “Twisted” could easily be performed by a pop star like Madonna rather than someone who typically plays an instrument during her shows. “The One I Love Is Gone” features moody guitars and such simplistic delivery that it’s easy to imagine Melua onstage during World War II, crooning to soldiers. The album closes with its namesake, a sprawling acoustic epic that ends on a haunting note. Melua and her sound only continue to grow with age, which will hopefully be recognized away from her home.